SEO for Mobile Platforms: What Strategy is Right For You? 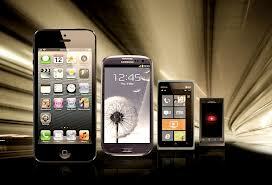 NASHVILLE, TN – These days, it’s common for people to search for information on their mobile phones. It’s so convenient to search for restaurants, stores, and services on mobile devices while we’re out and about. For users with smartphones like iPhones and Androids, our telephones are essentially pocket computers. So should we be tailoring SEO content to a mobile platform? For your business, it’s relatively easy to provide all this information to your potential customers. Having a variety of content, such as recipes, directions, menus, reviews, and photos, can be important on a mobile platform (and on a stationary computer). A study by the group Meditative shows that images and reviews draw in your user’s eyes. For iPhone users, the study revealed that positive reviews on the Google Places app made a huge difference in which listing got clicks and which did not. While you need to register to see Meditative’s eye-tracking report, Search Engine Land breaks down the basics in this article. My favorite websites that I frequent online all have apps. If your business could benefit from a mobile app, brainstorm ideas that would entice your customers, entertain them, or practically inform them about your business. Maybe your pizza place could commission an app to let users create their own pizza. Your personal training business could create a personalized workout app, complete with a nutrition and exercise routine. While mobile screens are smaller than traditional computer screens, apps can give users a tailored experience on a smartphone. Apps with in-app purchases, such as the photography app Hipstamatic, drive users to their website with extended packages and the ability to purchase photography prints. The Pinterest app is just as useful as the full website for users to share things they like. Focus on how your customers will find you, and keep up your tireless SEO endeavors. If you believe your business needs a separate mobile site, or even an app, evaluate what’s best for you and for your customers. Millionairium client CariniAir.com recently saw their site rise to the top of Google Places and other search result areas after working with us. Doug Cooper, the VP of Marketing for CariniAir.com, was thrilled with the results. “Finally achieving the top spot on Google Maps for our most important keywords is a dream come true. Everyone at Carini Heating and Air is very excited and grateful to Millionairium for their continued hard work and persistence,” Cooper says.